Rooms from $78.00 per night. Description This Hinesville, Georgia hotel has an indoor pool, free internet access, non-smoking guest rooms and free breakfast. 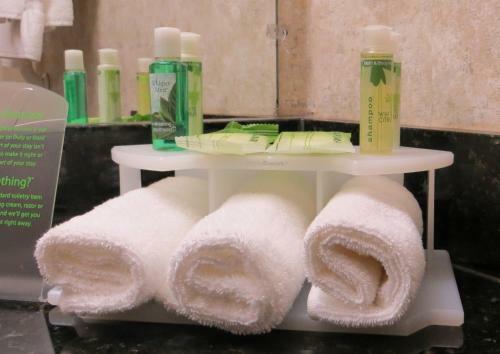 Elegant rooms free Wi-Fi and parking are just some of the top-notch amenities our guests will find at the highly rated Holiday Inn Express Hotel & Suites Hinesville. From fresh air (all rooms are non-smoking) to triple-sheeted beds and massaging showerheads the 86 rooms at this three-story property are as comfortable as they are pretty. Business professionals enjoy free Wi-Fi and local calls dual-line speakerphones with voicemail free morning newspaper delivery and work desks. 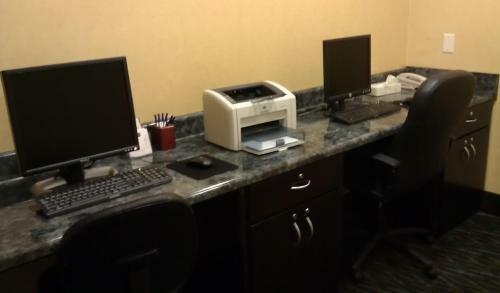 There are also copy and fax services at the front desk and a business center. All accommodations come with cable TVs refrigerators microwaves and coffeemakers for convenient snacking. For a full meal guests hit the free breakfast buffet with gourmet coffee French toast scrambled eggs and cinnamon rolls. 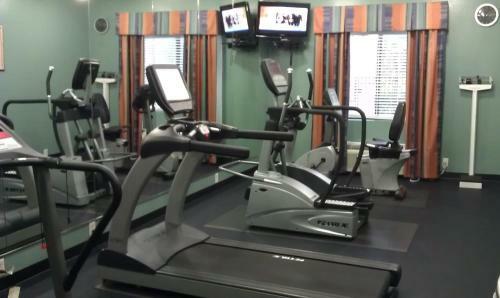 Workout enthusiasts find staying fit a synch with the heated indoor pool hot tub and gym. There's also an outdoor patio with barbecue grills and guest laundry facilities. Parking is complimentary. 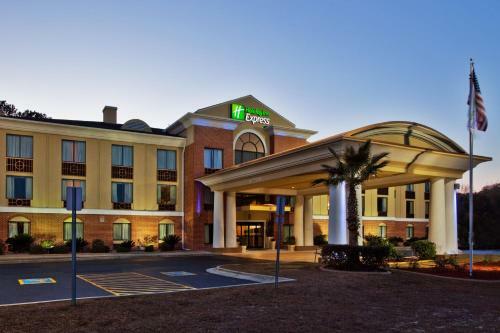 Holiday Inn Express is two-and-a-half miles from Fort Stewart Army Base and under four miles from Fort Stewart Museum. Seabrook Village an African-American living history museum is 18 miles away. Two-and-a-half miles further is Fort Morris State Historic Site. Historic Savannah is 39 miles north. Savannah/Hilton Head International Airport is just under 37 miles from the hotel. 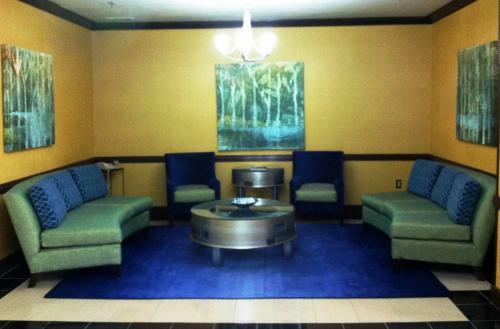 Add Holiday Inn Express Hotel & Suites Hinesville to your free online travel itinerary.